We are proud to announce that 1 Channel Island Homeowners Association has selected Tinnelly Law Group as their associations’ legal counsel. 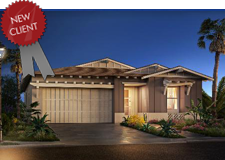 1 Channel Island, by Shea Homes, is a brand new single-family home community located in Encinitas. It was recently awarded Community of the Year by the Building Industry Association of San Diego County at the 2015 Icon Awards, in addition to awards for Best Architectural Design and Best Interior Design. Homes in 1 Channel Island will feature coastal plantation architecture with outdoor Lanais, reminiscent of New Zealand and Hawaii, and a focus on environmental efficiencies. Our HOA attorneys and staff look forward to working with 1 Channel Island’s Board and management.